The Dell Notebook Power Bank Plus lets you bring extra power with you, so you can be more productive. 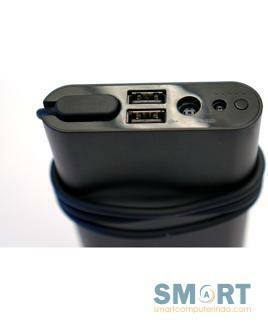 This handy device powers select Dell Notebooks* and Ultrabooks*, as well as up to two smartphones, tablets or other USB-enabled devices. The Dell Notebook Power Bank Plus is lightweight and compact, so you can stay powered on-the-go without adding bulk to your bag. PROLiNK® PJS2001 is specially designed to support up to 24V Heavy Duty Truck and a fast charge power bank. It comes with LED lights that acts as a torch during emergency, allowing switching of various torch lightings. 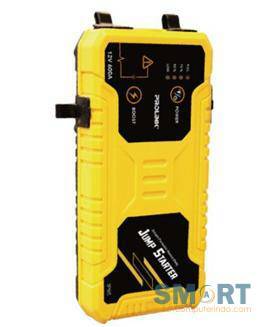 The PJS2001 has Smart and Safety Protection feature that has full protection from reverse charge, short circuit, over-current, over-discharge, low voltage and reverse polarity. 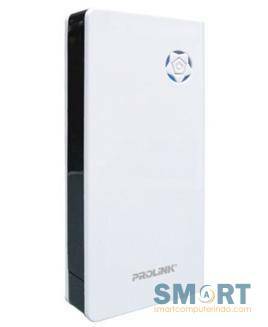 PROLiNK® PPB721 Energiepak Pastel Power Bank is designed with high quality battery cell technology that provides longer charging capability and faster charging time. 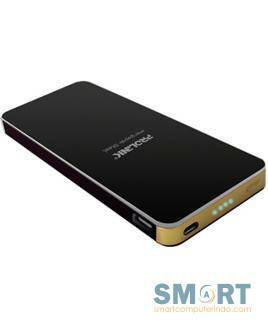 It comes with a battery capacity of 7200mAH; ideal for commuting, travelling or a long day at work/ school. The PPB721 is small and can fit into just about any type of carry-on. Apart from being portable, this Power Bank is designed with two USB charging ports that will allow you to charge 2 gadgets simultaneously. Furthermore, the PPB721 comes with a power saving feature that helps to conserve power by turning off the power bank when no devices are connected. 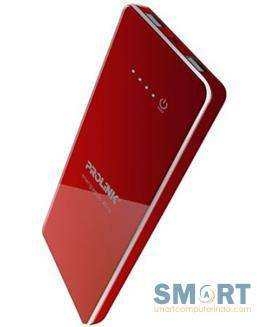 The PROLiNK® PPB801 Energiepak Ore Power Bank is packed with an 8000mAH battery cell to allow you to recharge your gadgets multiple times without turning to the mains. Effortlessly stylish, the PPB801 is suitable for all kinds of occasions; whether you're attending a formal event or just a simple picnic, the Chic and Sleek design of the Power Bank allows you to power up your gadgets easily and conveniently without adding too much extra weight. Equipped with two output charging ports, the PPB801 allows you to charge 2 devices simultaneously. In addition, the PPB801 comes with an advanced protection technology to prevent overcurrent, overvoltage, overcharge, over-discharge and short-circuit. The PROLiNK® PPB1061 Energiepak Steel Power Bank adopts a chamfered-edge design with rounded corners that curves cleanly along the sides. The all-metal Power Bank holds an astonishing 10600mAH of energy charge that will add hours to the life of your portable devices. Through its dual USB output ports, you can share your power with your friends and family across two gadgets at the same time. Also, the PPB1061 comes with an advanced protection technology to prevent over current, overvoltage, overcharge, over-discharge and short-circuit. Furthermore, the PPB1061 comes with a power saving feature that helps to conserve power by turning off the power bank when no devices are connected. 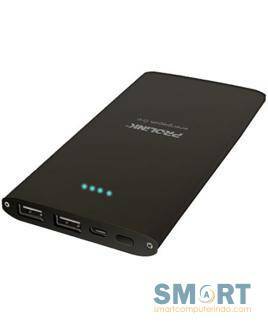 The PROLiNK® PPB1201 Energiepak Xtra Power Bank is designed with a whopping 12000mAH rating that is able to charge your portable devices repeatedly before resorting to the mains. The PPB1201 adopts a minimalist design where it features an intelligent on/off switch touch sensor. 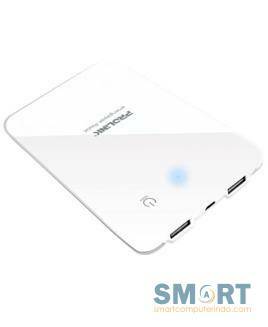 In addition, this stylish 12000mAH Power Bank comes with a premium outer case and a metal aluminum bumper frame that protects it from slight bumps and drops. On top of that, the PPB1201 is packed with amazing features, such as a dual output charging port, power saving mode and over-charging protection. PROLiNK® PJS1000 is your ideal driving companion with its perfect combination of 3 different capabilities in one; a vehicle jump starter, a portable electronic device charger, and an LED flashlight. With its compact design, PJS1000 can easily fit into any type of carry-on. Also, the PJS1000 has Safety Protection feature that ensures reverse polarity and spark proof, as well as a full protection from overload, over-current, over-voltage, over-charge and even short circuits. 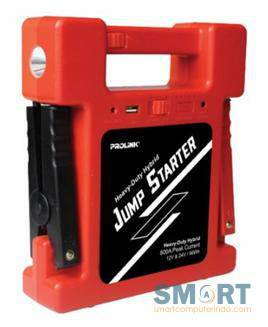 PROLiNK® PJS1001 is a robust jump starter that encompasses 4 different capabilities; a vehicle jump starter, a portable electronic device charger, an emergency window breaker, and an LED flashlight. With its wide range of features, PJS1001 is an ideal device in the case of any emergencies. Also, the PJS1001 has Safety Protection feature that ensures reverse polarity and spark proof, as well as a full protection from overload, over-current, over-voltage, over-charge and even short circuits. 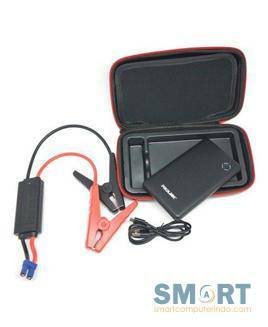 PROLiNK® PJS2000 is designed as a vehicle jump starter, a portable electronic device charger and an LED flashlight. It comes with a DC switch cable that allows ease of interchanging between charging of vehicle electronics and electronic devices. Aside from its wide range of functionalities, PJS2000 provides full protection from water and dust particles, as well as anti-shock protection. 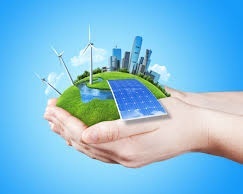 Also, it has Safety Protection feature that protects devices from over-charge, over-discharge, over-voltage and over-current.